Seventeen years after the abduction of the Palestinian leader, Ahmad Sa’adat, the General Secretary of the Popular Front for the Liberation of Palestine, and his comrades, we mark the anniversary of this heinous crime. 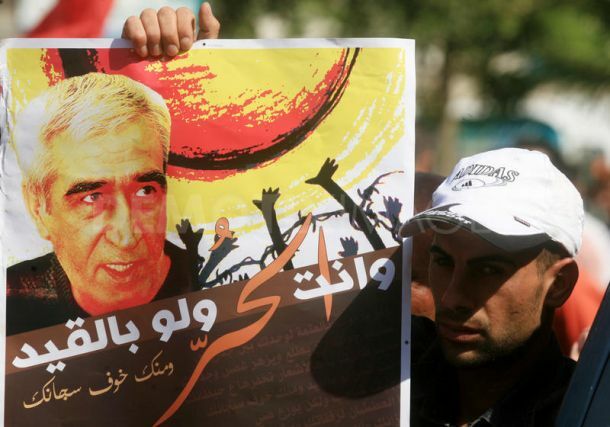 On 15 January 2002, the Palestinian Authority in Ramallah kidnapped the Palestinian national leader, Ahmad Sa’adat, and his comrades, and detained them at the headquarters of the PA, bowing to Zionist and U.S. conditions. This attack also came in the context of strengthening security coordination between the Palestinian Authority and the Zionist occupation forces. 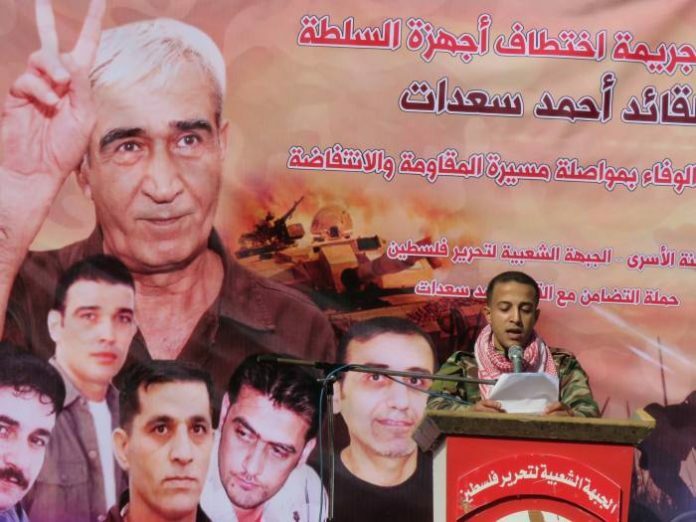 Seventeen years have passed since the crime of his kidnapping, engineered by the Palestinian security servics, specifically the Palestinian General Intelligence Service then directed by Major General Tawfiq Tirawi. He carried out a trick on Sa’adat that was a national, political and moral crime. It was hatched in the joint security rooms and came as a gesture of surrender to the conditions and dictates of the Israeli occupation, United States and British imperialism. The Palestinian Authority has not learned the lessons of this crime, and the later kidnapping of Sa’adat by Zionist armed forces; instead it has continued to develop it policy of security coordination with the occupation. It continues to play its security role assigned to it under the Oslo Accords and continues to play a disgraceful role against the cadres of the resistance. Security coordination is a true obstacle toward any real efforts to achieve national unity and enter a new Palestinian era of cohesion and confrontation of the common enemy. “Israel” has not abided by any of its promises or oral commitments; incidentally, the imprisonment of Sa’adat did not lift the siege of the Muqata in Ramallah. It remained besieged by the army, and later Yasser Arafat was subjected to numerous assasination attempts at the hands of the Israeli occupation and a likely death through poison. 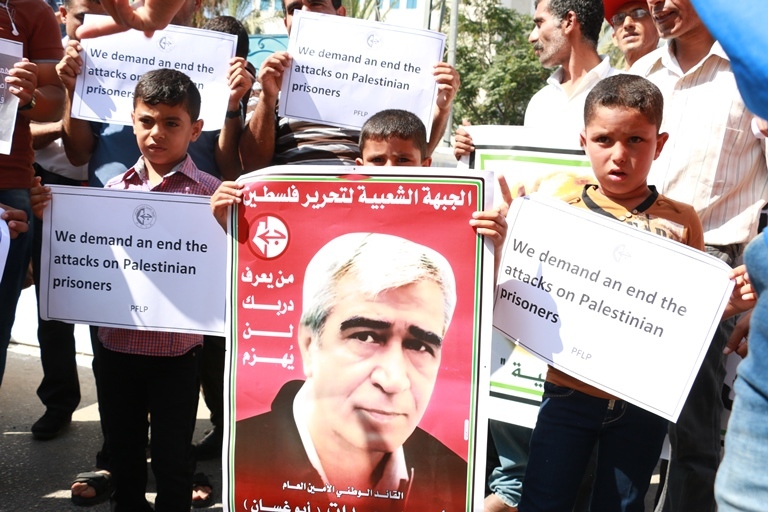 The kidnapping of the leader Ahmad Sa’adat is an action that makes clear the destructive role of the Authority and its position in opposition to the Palestinian resistance. Through this action, it was clear that the PA considered the guerilla response to the assassination of the leader Abu Ali Mustafa to be a crime worthy of abduction, arrest and imprisonment – and the destruction of the lives of dozens of Palestinian families. سبعة عشر عاماً على جريمة اختطاف الأمين العام القائد أحمد سعدات ورفاقه / يصادف اليوم ذكرى الجريمة البشعة التي ارتكبتها السلطة الفلسطينية في رام الله يوم 15 يناير/ كانون ثاني 2002 باختطاف القائد الوطني الفلسطيني الرفيق أحمد سعدات، الأمين العام للجبهة الشعبية لتحرير فلسطين على يد جهاز المخابرات العامة حيث قامت باختطاف القائد سعدات ورفاقه واعتقالهم في مقر المقاطعة، رضوخاً واستسلاماً أمام الشروط الصهيونية والأمريكية، وفي سياق تعزيز التعاون الأمني بين السلطة الفلسطينية وقوات الاحتلال الصهيوني. سبعة عشر عامًا مرت على على وقوع جريمة الاختطاف الدنيئة، التي هندستها الأجهزة الامنية الفلسطينية، وتحديداً جهاز المخابرات الفلسطينية العامة، الذي ترأسه، في تلك الفترة، اللواء توفيق الطيراوي، فأقدم على تَنفيذ خديعة وجريمة وطنية وسياسية وأخلاقية، حّيكت خُيوطها ودُرُوبها في الظلام، وفي الغرف الأمنية المُشتركة، وجاءت رضوخاً لشروط وإملاءات الاحتلال الاسرائيلي ومن خلفه الولايات المتحدة الأمريكية وبريطانيا. لم تستفد السلطة من الدرس، واستمرت في سياسة التنسيق الأمني مع الاحتلال ولا تزال تقوم بالدور الأمني المرسوم لها في اطار اتفاقيات أوسلو، ولا تزال تمارس دوراً مشيناً ضد كوادر وعناصر المقاومة، سياسة دنيئة تقف حجر عثرة أمام أية مساع حقيقة للوحدة الوطنية ودخول عصر فلسطيني جديد من التلاحم ومواجهة العدو المشترك. جريمة السلطة لم تشفع لأحد عند الاحتلال وأمريكا، ونكثت “إسرائيل” كل الوعود والالتزامات التي قدمتها، شفهياً بالمناسبة، فلم يرفع الحصار عن المقاطعة في رام الله، وظل الجيش يحاصرها، ولاحقاً قامت “اسرائيل” بقتل ياسر عرفات ، وبالسم. إن جريمة اختطاف القائد سعدات تدين السلطة أكثر، لأنها اعتبرت الرد الفدائي على جريمة اغتيال ابو علي مصطفي ، بمثابة جريمة تستحق العقاب والخطف وتدمير حياة عشرات العائلات الفلسطينية.